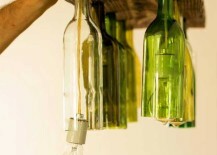 There’s a reason that recycled wine bottle DIYs have been so popular – they’re a great excuse to drink some vino! 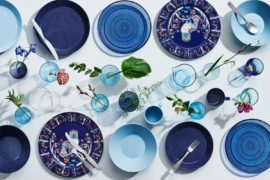 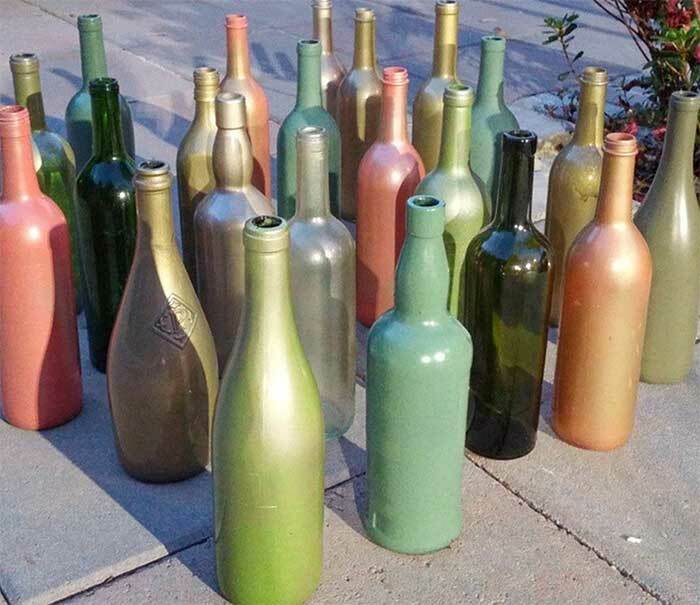 Wine bottles also come in many interesting colors and shapes, and are already elegant enough that not much needs to be done to turn them into all sorts of lovely items. 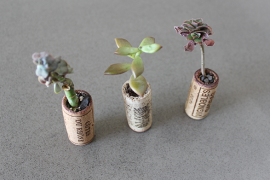 From sophisticated centerpieces to light fixtures to garden accessories, read on for a selection of some of our favorite ways to reuse old wine bottles. 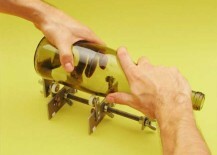 Ready for a slightly challenging way to use wine bottles? 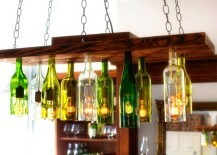 DIY Network has a very thorough tutorial on how to turn your old vino receptacles into a truly stunning chandelier. 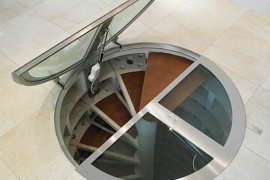 It does take some elbow grease and about a day to complete, but it will be well worth it just for the self-satisfaction and your friends’ stunned faces. 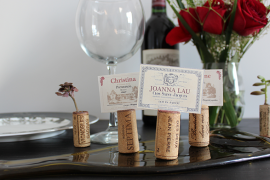 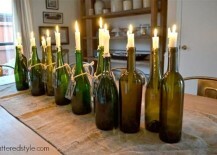 For another hassle-free DIY, how about turning your wine bottles into candle holders? 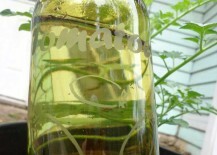 Tattered Style shows you how to remove the labels with soap and water. 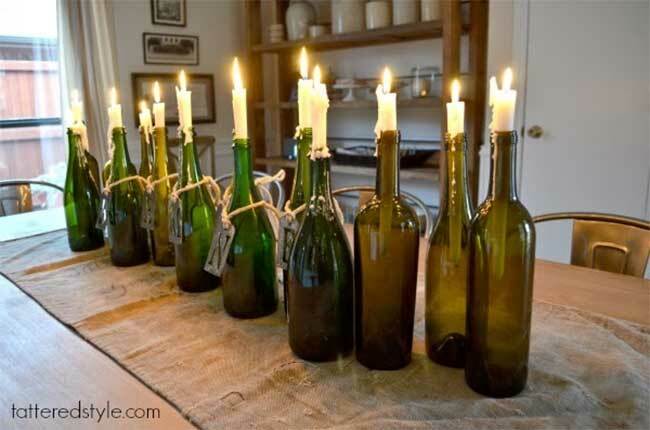 Then just line them up on your table and stick your candles in. 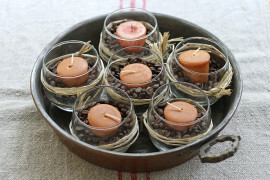 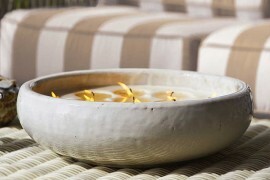 For an even more dramatic look, allow the candles to burn for several hours to achieve a dripped wax effect. 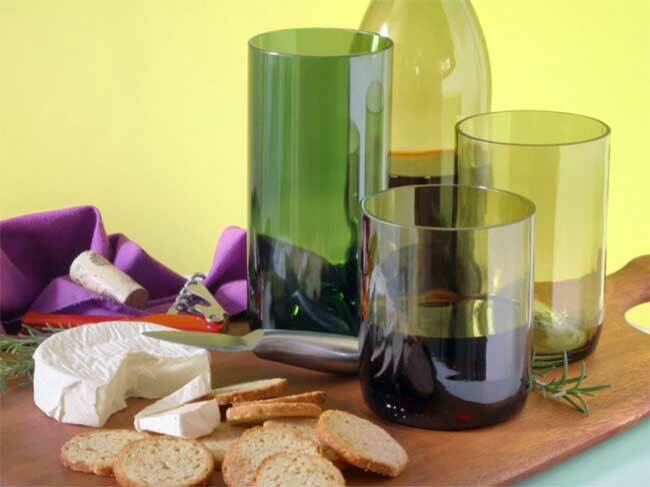 “Slumping” or flattening a wine or other glass bottle allows you to turn it into a one-of-a-kind serving tray or cheese platter. 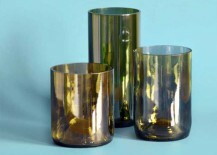 These would make great gifts too, especially as a set of brown, green and clear platters. 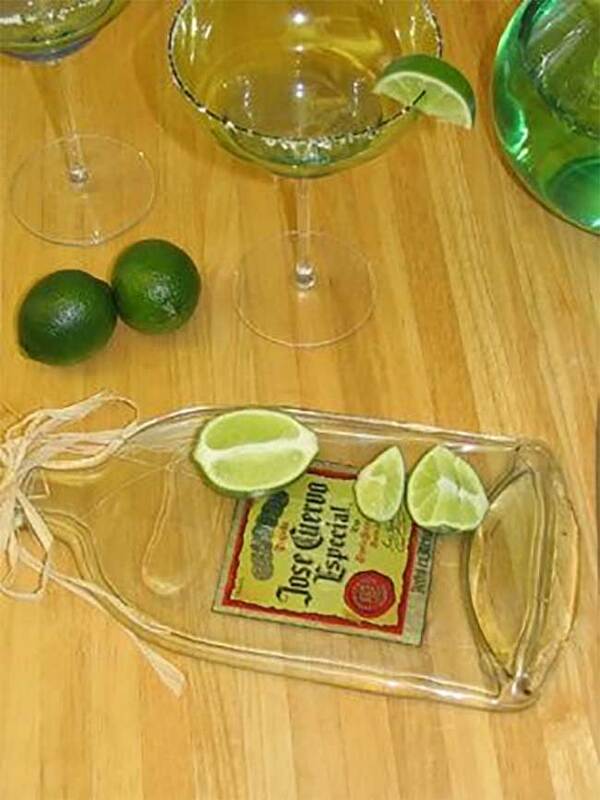 This next project is on an expert level, but once you’ve mastered this technique, you can use it to make all kinds of things from tumblers to hurricanes. 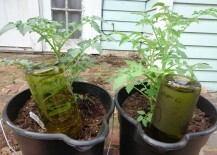 Follow Brit and Co’s lead and learn how to cut old bottles safely and cleanly to make cups and vases. 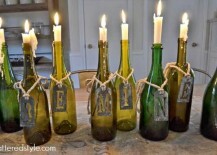 If you love the idea of using wine bottles as centerpieces but are looking for a more specific color scheme, just grab some spray paint in the hue or hues you like for a custom look. 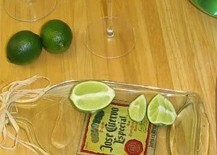 You can remove the labels beforehand if you prefer, but it’s not necessary since the paint will cover them. 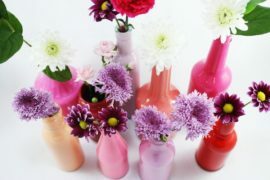 Cluster several different colors and heights of bottles together on each table for a charming, eclectic feel. 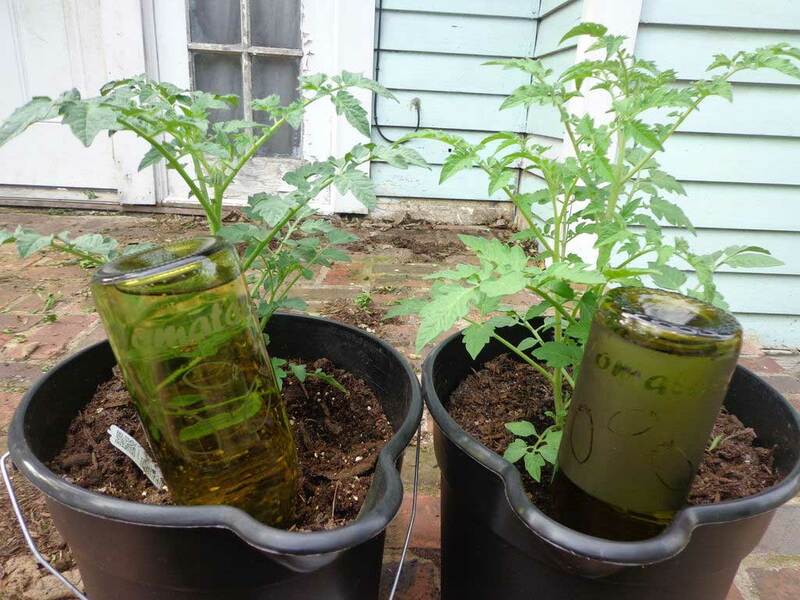 Quite possibly the easiest way to reuse a wine bottle (other than sticking a flower into it and calling it a vase), these wine bottle plant waterers work almost exactly like those pricey water globes you see selling online. 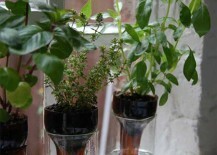 All you need to do is clean your bottle, fill it with water, turn it upside down and stick it into your plant pot. 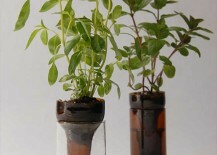 When your plant is thirsty, it will draw the water it needs out of the bottle gradually. 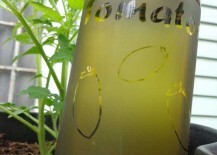 If you’d like to get a bit more fancy, head over to Instructables to see a whole tutorial about how to make an etched glass version. 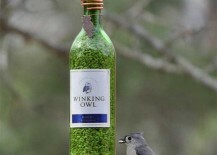 Birds may not drink wine, but they’ll certainly be hitting the bottle in your backyard if you make yourself one of Garden Roof Coop’s DIY birdfeeders. 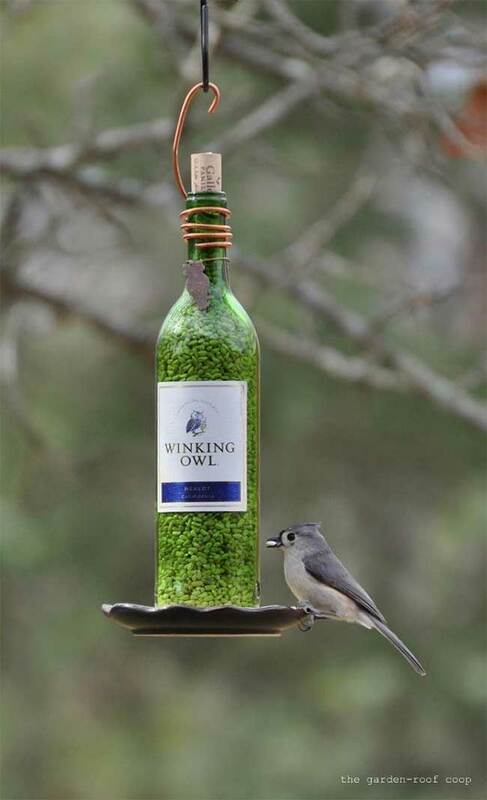 The colors of the glass are so beautiful when they catch the light, and will turn your garden into a haven for feathered friends. 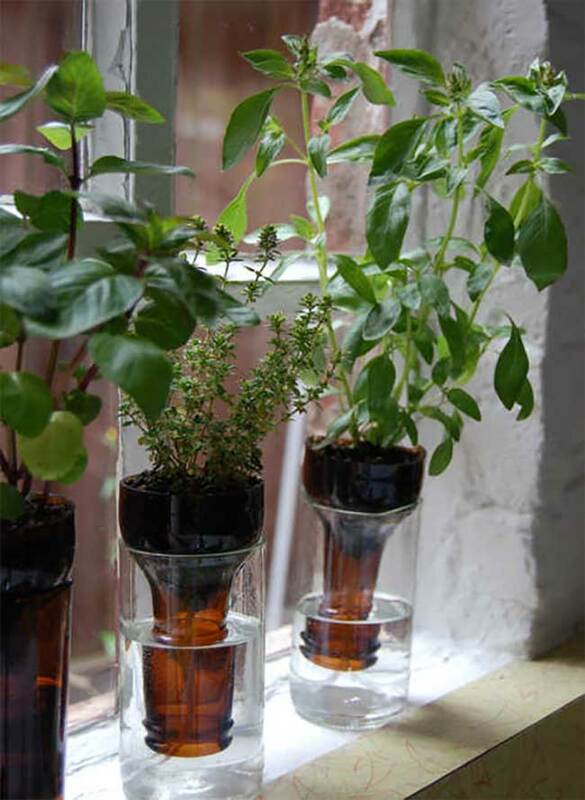 Once you have the method down, use it to make your own version of Design Sponge’s adorable self-watering planters. 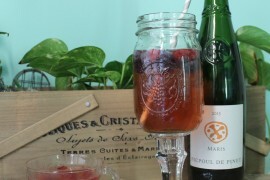 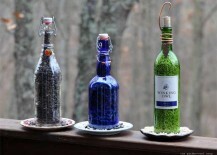 Be sure to make a pair of these at a time using different colored bottles for a lovely two-tone effect. 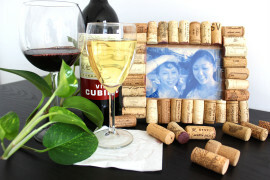 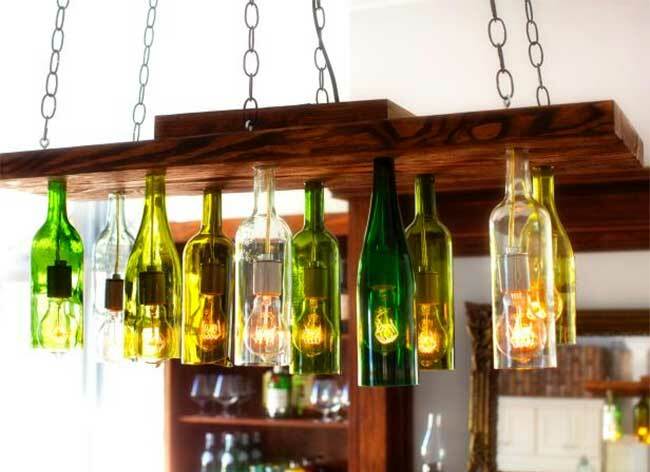 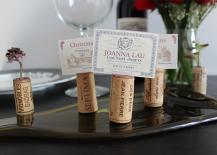 How do you reuse your old wine bottles?